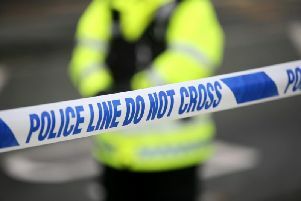 Police are appealing for information about an assault on a couple in Claudy on New Year’s Day. Inspector Declan McGrath said that a man and woman were assaulted at licensed premises shortly before 1am on New Year’s Day. The PSNI Inspector said the woman was knocked unconscious in the incident. “A short time later, when they were outside, the man and woman were again assaulted by the same two men,” Inspector McGrath said. One of the assailants is described as being about five feet five inches tall. He is of a thin build and he is described as having brown hair. At the time he was wearing navy jeans and a T-shirt. The other man was about five feet 11 inches tall, with dark hair, wearing jeans and a burgundy and white jumper.